With his adorable outfits and cheeky personality, Prince George is our favourite member of the Royal Family and if this revelation from pops Prince William is anything to go by, we have more in common with him than we first thought. Any child's first day of school is an important, emotional milestone no parent will ever forget, and that was exactly the case for Prince William recently as he accompanied cheeky Prince George on his first day at St Thomas' Battersea school just a few weeks ago. The dad-of-two flew solo while pregnant Kate Middleton recovered from severe morning sickness at home, and the lookalike pair looked too adorable for words making their way to the school gates. We're totally not ashamed to admit we spent hours poring over the photos of him in his adorable uniform complete with book bag, tightly squeezing his dad's hand as he took the first steps to meet his new teacher at the gates. But while his trembling bottom lip led us to believe he wasn't having the best time, Prince William has revealed that's still the case, weeks later. Speaking to fellow parent Louise Smith during an official appearance, Wills admitted that even though George had only been a student for a mere three weeks, he is no longer excited by the school routine. 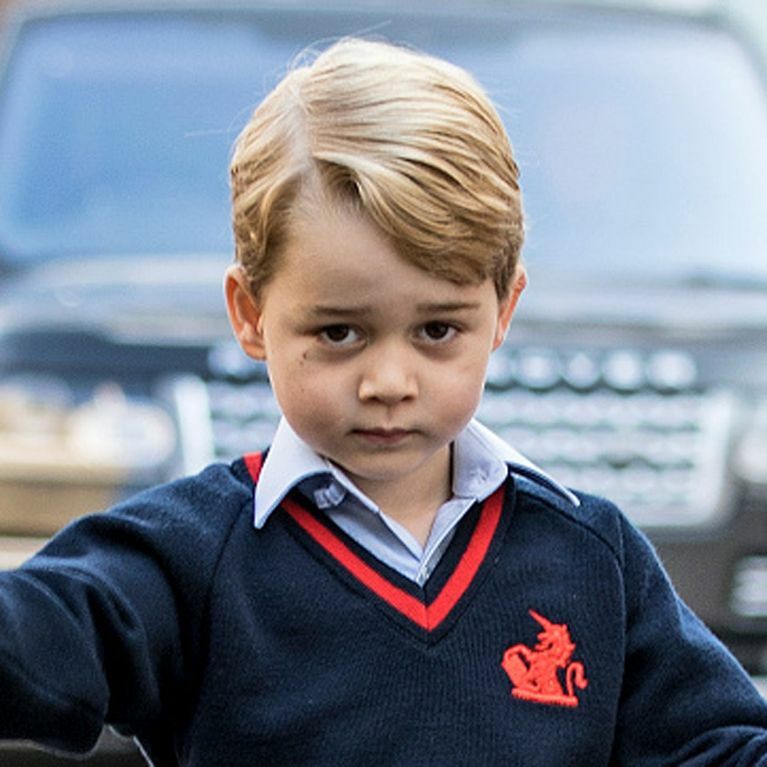 Louise told reporters: "[William] told me he'd just dropped George off at school and he didn't want to go. Sounds a bit like mine, really." We feel you hon, a few weeks into the 9-5 and we hated our lives, too. Difference is, we have four decades left doing this, you don't. Proving that no one knows you as well as your 'rents, Prince William had previously predicted George may not enjoy school, saying on his very first day: "We are all seeing how long that lasts before he doesn't want to go." At least he didn't disappoint, right? Sorry pal, but it doesn't get any easier when you reach adulthood either - even with a mountain of caffeine to help you out.